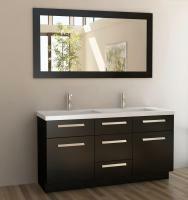 This unique and stylish double sink vanity features an open design black cabinet with a white marble counter top. 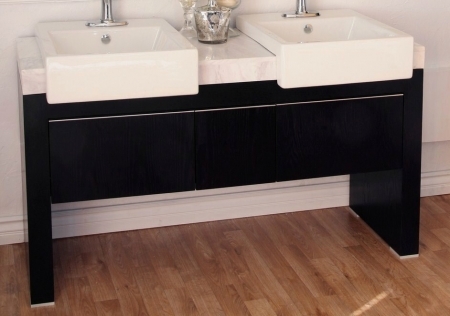 Chunky vessel sinks are partially recessed into the counter for a geometric look. 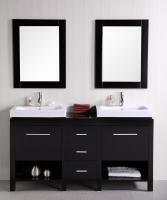 The cabinet features three drawers that allow for storage of towels or personal items. Fixtures not included.